Route1Reads connects literature to place by highlighting a book from each of the 16 East Coast states/commonwealths that can be traveled by US Route 1, the longest north-south road in the United States. This collaborative project among the East Coast State Centers for the Book includes subjects and genres that span everything from good eats and medical histories to travelogues and mysteries. This year’s theme is: Adult Mystery Novels. 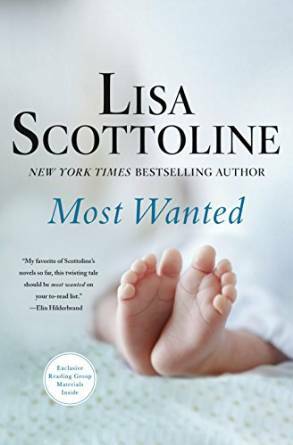 Pennsylvania’s 2016 Route1Reads pick is Most Wanted by Lisa Scottoline – a domestic thriller that follows a mother’s quest to uncover whether her unborn baby’s anonymous sperm donor is the serial killer responsible for the deaths of nurses in Maryland, Virginia, and Pennsylvania. Scottoline is a bestselling novelist from Philadelphia, also known for her co-written humor column “Chick Wit” in The Philadelphia Inquirer.